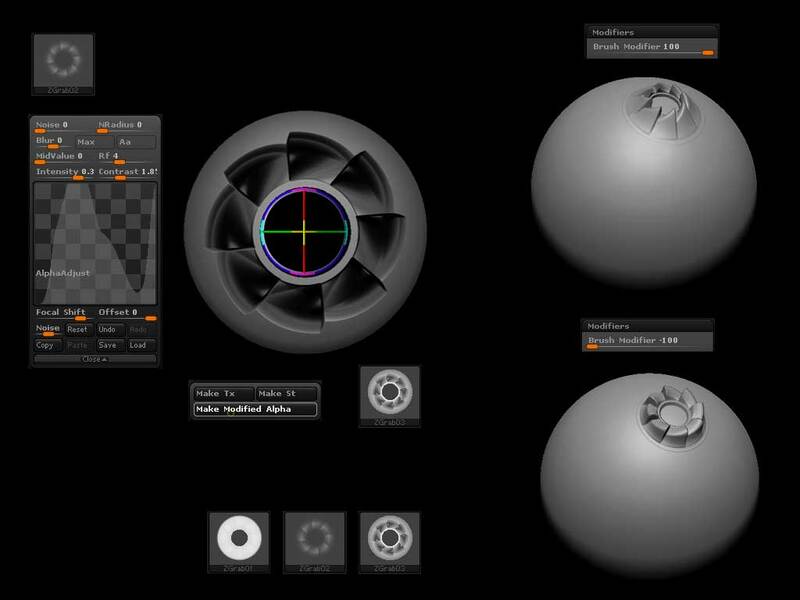 In ZBrush there are a few tricks that are seldom used. One of these tricks is using simple3D objects and Initialize to create quick alphas for detailing. 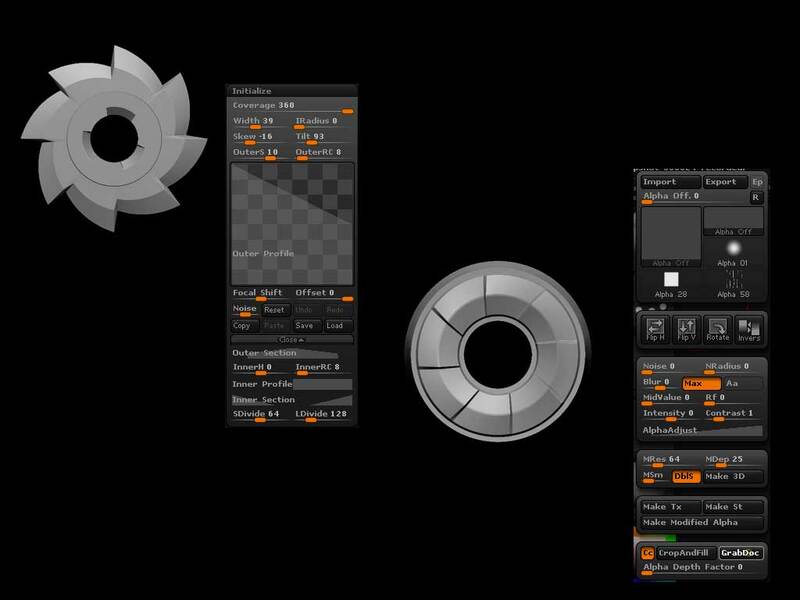 Changing the various settings and curves will generate changes in the Gear3D object. Once the Gear3D object has an interesting shape, frame it to the canvas, and ‘GrabDoc’ Alpha. After the alpha has been created the alpha settings can be changed to further enhance it. This process of modifying the alpha is sometimes difficult with the tiny size of the alpha icon. This can be solved by using the SimpleBrush. Clear the canvas and select the SimpleBrush. With the SimpleBrush selected, change the stroke to DragRect and select the alpha that was GrabDoc’d. Make sure Mrgb is turned on and Rgb Intensity is set to 100. Set Zadd to on and Z Intensity to 100. Draw the alpha on the canvas so it fills the canvas then switch to Move mode. While in move mode any change you make in the alpha palette will now update the SimpleBrush stroke on the canvas. Changing the values now generates a larger visual representation of what kind of the alpha. Once a desired effect is created hit ‘Make Modified Alpha.’ Continue changing the alpha settings on the modified or original alpha to create a variety of detailing alphas. 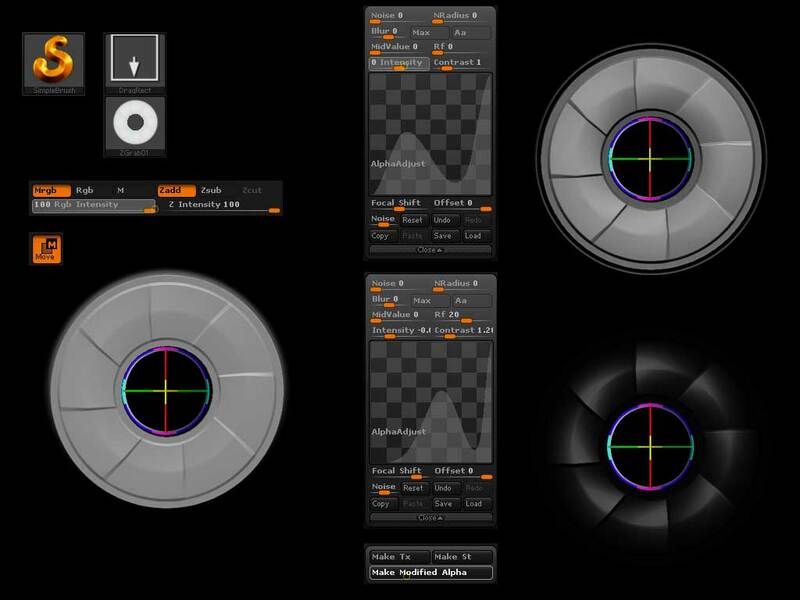 After the alphas are created, export them out and use them with any of the brushes. For further alpha variation change the brush modifier to vary the strokes that the alpha generates. 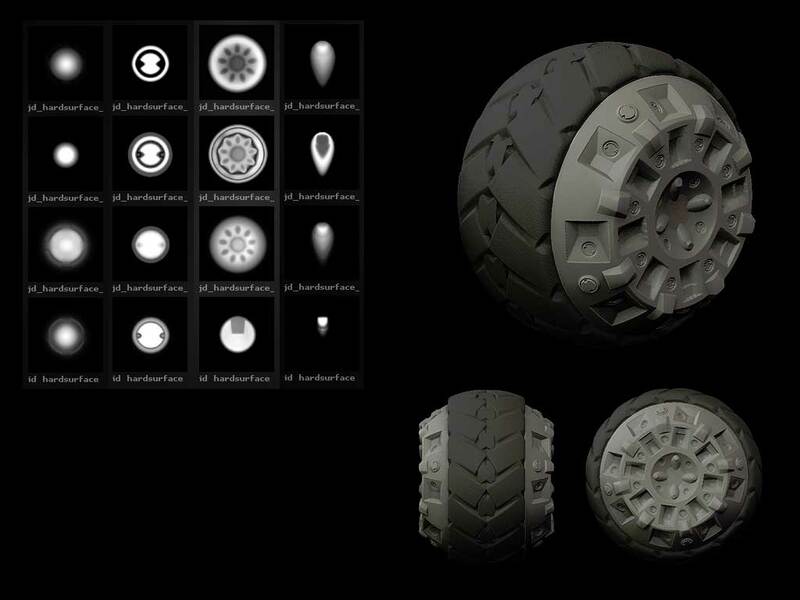 Using these easily created alphas along with the ZBrush Polish brushes can create extremely detailed and interesting hard surface objects.